Our church has supported the work of The Leprosy Mission for many years. Mission: To educate, challenge and involve the people of Northern Ireland in the Christ-like and unique mission of The Leprosy Mission worldwide, and to contribute to its overall operations and development. What We Do: The Leprosy Mission provide a comprehensive range of services to meet the needs of people, families and communities affected by leprosy. 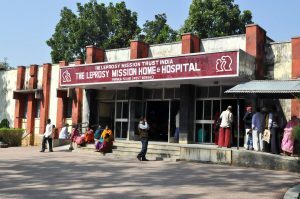 As well as integrating leprosy and general medical services, where there is need, The Leprosy Mission hospitals and health centres continue to provide excellence in all aspects of specialized leprosy care, often being referral centres for complications of leprosy. However, people affected by leprosy need more than medicine. The Leprosy Mission programmes deliver compassion and action. While we do identify and assist people to a cure and treat physical impairments through reconstructive surgery, we also invest in education, vocational training, counselling and community based socio-economic rehabilitation activities. “Cured not cursed” tells the story of ordinary people who have had their lives scarred by leprosy. Click on the Vimeo clip below to learn more. Where We Work: We are a global fellowship, active in 31 countries throughout the world. 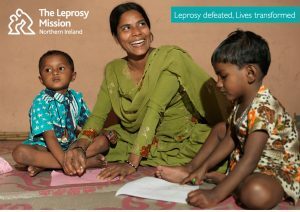 The Leprosy Mission Northern Ireland currently funds projects in five countries. Here is a summary of how in the past year we have helped to provide care, treatment and restoration for those affected by leprosy. Ethiopia In Ethiopia funds were used to provide accommodation for rural patients who suffer from leprosy and had to travel to Addis Ababa. In total 521 patients were given safe lodging and food while receiving diagnosis and vital medical treatment at the ALERT hospital. While staying at the accommodation, patients were made to feel included and understood. This was a welcome haven, after facing years of social stigma and exclusion because of leprosy. India We have contributed funds towards the work of Shahdara and Purulia Hospitals. In Shahdara Hospital, over 2,500 people received treatment, while in Purulia over 1,500 people were treated. We also contributed to the ‘Catch the Young’ project, which gave over 1,650 children from leprosy affected families a school scholarship. Another aspect of ‘Catch them Young’ is the stigma reducing education initiative, which reached over 5,000 children. Nepal TLM NI continues to support Anandaban Hospital, the central referral centre for leprosy cases in Nepal. The work of Anandaban, and the many satellite clinics across Nepal reached 25,000 people. This figure includes many people who were helped following the earthquake. Relief materials, food items and temporary shelters were also given to over 5,000 people affected by the earthquake. Nigeria Both Holley Memorial Hospital in Ochadumu, and Ekpene Obom Hospital have been supported through feeding programmes, medical supplies, and materials for those with disabilities. We also helped to renovate the operating theatre in Ekpene Obom. A training course and materials were also supplied to 8 self–care groups, helping over 100 people. Tanzania We have now completed 26 houses in the village of Samaria, and have installed a water pump. We have also continued to support Hombolo Hospital through CHEP, the Community Health Education Programme, which reached over 20,000 people through seminars, screening, mobile clinics and the development of 10 self–care groups. We have also funded the much needed renovation of Hombolo Hospital.